The following page is broken down alphabetically, by building, with basic info and links to quickly find current listings and recently SOLD condos with the SOLD prices and closed dates. 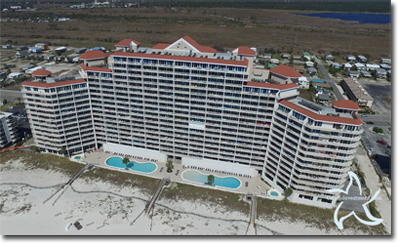 Search by price & square footage costs, use our labeled aerial images and videos to search Gulf Shores condos for sale and see the area surrounding each condo or use the Map Search. We understand the needs of our customers and publish rental revenue and recent SOLD information for all condos in Gulf Shores Alabama. The quick stats offer square footage costs, number of listings and the average list price. If there's no quick stats information, there's no current listings for sale in that particular building. Developing a solid plan to promote your rental property, is a great way to put your investment to work when you're not enjoying it yourself! 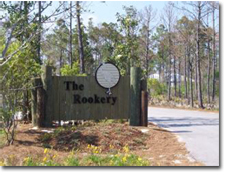 The Lighthouse was built in 2006 and has since become one of the more popular condos in Gulf Shores. It's also the largest condo development in town; over 250 units. The Lighthouse is a short walk from the Gulf Shores Hangout and several restaurants in the downtown area. The Lighthouse is ideal for those looking for a great gulf-front investment condo in Gulf Shores. The high rental traffic / revenue makes ownership much easier. Each unit in the Lighthouse has an additional room that most have converted to a bunk room for extra sleeping accommodations. A one-bedroom unit in the Lighthouse comfortably sleeps up to six guests at a time if the unit has a sleeper sofa, which most will. The Colonnades is a medium-density building with 53 gulf-front units built in 2006. The Colonnades rents very well, but units are priced higher because of a nicer amenity package and large floor plans. The Colonnades is close to the Alabama State Pier and State Park and includes a library, theater, and indoor heated pool with a retractable roof. The interiors also have upgraded surfaces, flooring, and other nice touches. The San Carlos condo development, built in 2006, sits in downtown Gulf Shores and is also an ideal rental property. It's consistently one of the top income-producing condos with an amenity package that helps keep it rented in the winter months. San Carlos is centrally located in Gulf Shores and within walking distance to the public beach and Gulf Shores Hangout. The Seawind condo development in Gulf Shores is a newer building that was built in 2006 and located where the old Holiday Inn was. It's a great income-producing condo development in the same bracket as the Lighthouse and other aforementioned investment properties. Seawind condos were some of the last $600 per foot condos in the area. At one time, Seawind was grossly overpriced, but time has changed that and these condos offer a solid investment from a rental aspect, especially because its prime location in Gulf Shores makes it one of the more popular destinations in town. Tropic Isles condominiums was built in the popular West Beach area in 2000. Tropic Isles is a popular, low-density building with 40 units and close proximity to the Gulf Shores Hangout and other local attractions. The condos at Tropic Isles are ideal income-producing rentals and make for a great gulf-font investment. 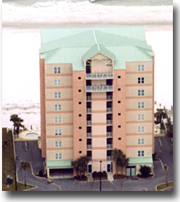 The Boardwalk condo development was built in 1985 and is located in central Gulf Shores next to Sea-N-Suds restaurant. This restaurant is home to the best shrimp po' boy on the island and one of the last gulf-front restaurants. Sea-N-Suds is on the end of a pier over the Gulf of Mexico and is a really neat local attraction. Boardwalk is within walking distance of the Gulf Shores State Park fishing pier and Gulf Shores Hangout. All of the units in Boardwalk are direct gulf-front and have unimpeded views of the Gulf of Mexico. Beach Front condominium complex is located in the West Beach area of Gulf Shores, approximately one mile west of the intersection of Highway 59 and Beach Boulevard. Beach Front's best feature is its location and would make a great second home only a couple of miles from the Gulf Shores Hangout. Beach Front is on the Gulf of Mexico side of Beach Boulevard, but not all of the condos are direct gulf-front. Some of the condos offer unimpeded views of the Gulf of Mexico and some offer partial gulf views. Emerald Greens is a golf course condo complex off of hwy 59 in Northern Gulf Shores, AL. The condos have a short golf course, sit directly next to Craft Farms and various shopping outlets, theaters, restaurants and other amenities. The beaches and Gulf Place is approximately 4 miles from this area of Gulf Shores.